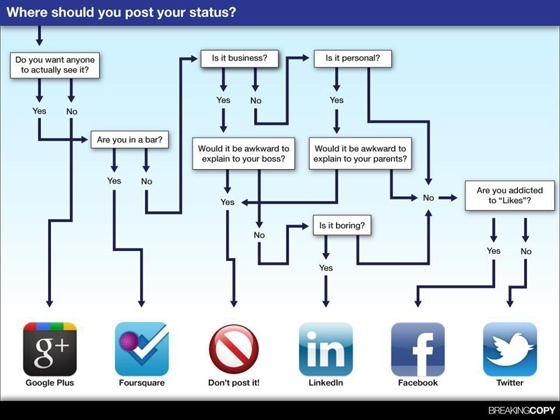 Which Social Network Should You Post Your Status? I noticed this infographic that helps you understand which social platform you should post your status update on. Although entertaining, actually useful at the same time. 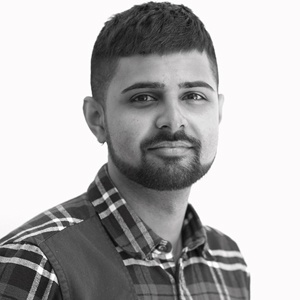 For example if you don't want anyone to see your post use Google +, then if it is boring use LinkedIn. Ultimately you will need to decide which platform to post your update, as each social platform services a different purpose, whether B2B or B2C.